We build VR solutions, and yes VR is going crazy right now with social media, property developers, retailers, health industry and just about everyone getting in on the trend. Recently we built a visualiser solution for a well known Australian flooring retailer and launched the solution with their very own printed google cardboard glasses. This is a great idea on many levels, firstly its low cost, on brand and carries the key brand information like web page URL and offers. Secondly it provides customers the chance to experience virtual reality the latest and most exciting development in technology. Finally combined with a visualiser for your brand you can increase customer engagement and actual sales allowing customers to see and ‘experience’ your products. We can now provide the latest V2 Google Cardboard solutions complete with head strap and nose protector making the experience much more comfortable than the old V1 solutions. Our printing can be provided gloss or matt and include all flat surfaces sharing brand information. 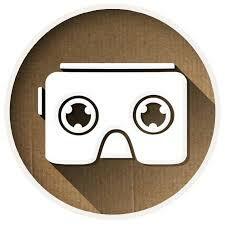 Google Cardboard is compatible with Iphone 7 and Samsung and is compatible with smartphones up to 6 inches in size including Iphone 7 and Samsung 8. 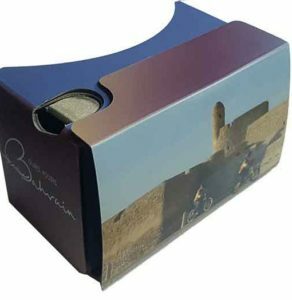 A printed Google Cardboard viewer is an amazing marketing opportunity for your customers to experience the exciting world of Virtual Reality (VR)! Virtual Reality is an amazing technology who’s power is only starting to be realised. Contact us today if you’d like to hear more we would be happy to help and provide demonstrations of what your printed google cardboard glasses could look like!